The hours of operation for Rep. Karen Boback’s (Lackawanna/Luzerne/Wyoming) district offices in Dallas and Tunkhannock will change effective Monday, Aug. 20. The offices, located at 105 Lt. Michael Cleary Dr. in Dallas and 133 W. Tioga St. in Tunkhannock, will now be open Monday-Friday, 8:30 a.m. to 4:30 p.m.
Assistance with PennDOT paperwork (lost cards, changes, corrections, special registration plates, vanity plates, and temporary placards for disabled persons). PACE and PACENET applications for seniors. Property Tax and Rent Rebate applications. Voter registration forms and absentee ballot applications. State maps, state park information and PA Vacation Guides. Referrals to agencies to resolve state-related matters. 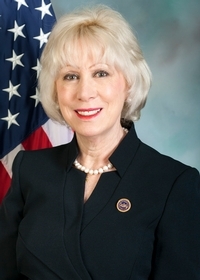 For help with any of the above or with any other state-related matter, Boback encourages residents to call her district offices at (570) 675-6000 (Dallas) or (570) 836-4777 (Tunkhannock).